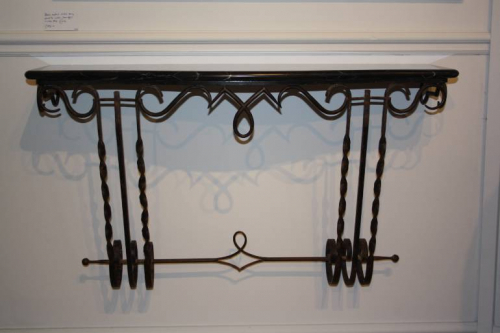 Charming scroll metal console with central stretcher. French c1950. The top is a lovely figured black marble with delicate white veining. Can be hung at any height. Very good condition.